Halloween is becoming my favorite holiday. No giant meal to prepare, no pressure to buy just the right present and you can dress up any which way you want. And you get candy too. What’s not to love? These crisped rice Monster Bites are what you should really love though. 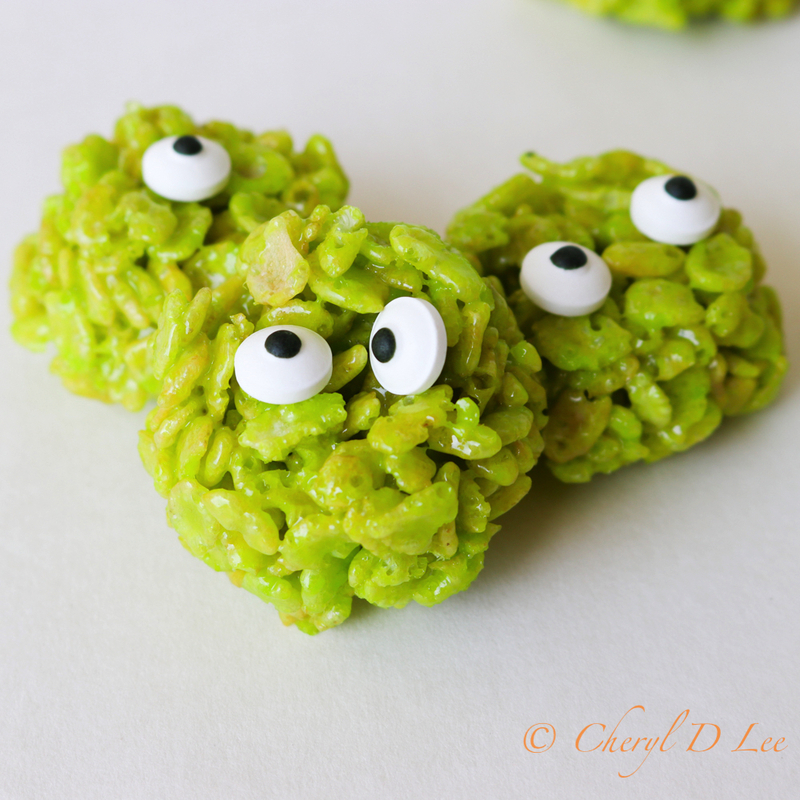 Easy to make, kid friendly and so much fun to pop in your mouth. In fact, these are so kid friendly, my 9 year old kid did all the decorating. I mean food styling. 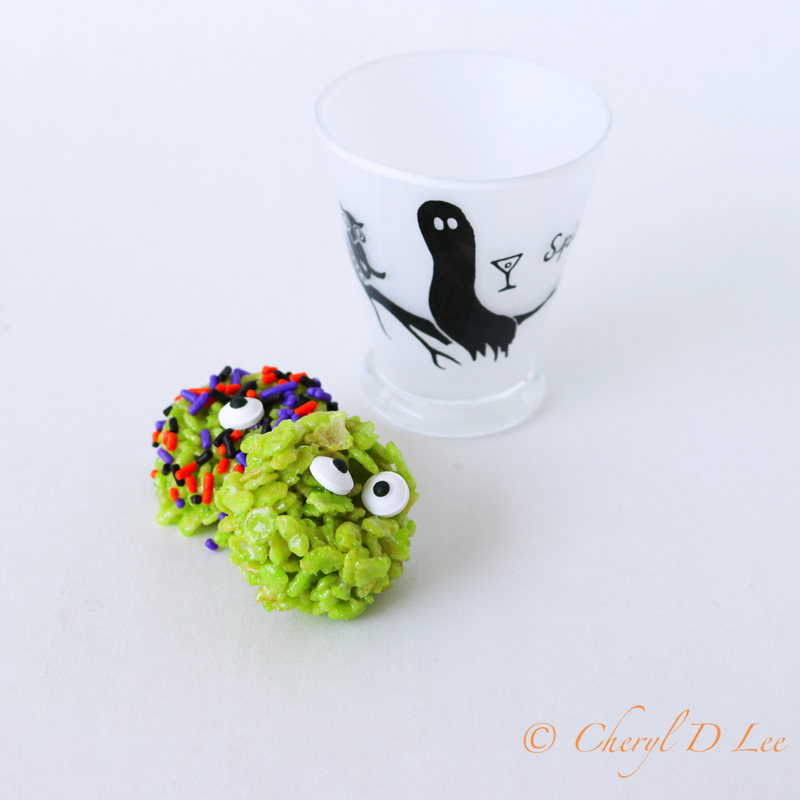 These bite sized treats are perfect for a Halloween party buffet, or for taking to the office to share. Since they are only a couple bites, you can’t feel guilty eating one. Seriously, how many calories can be in a bite or two? And they’ll make you smile while eating them, so that will surely burn a few calories. Spray a mini muffin pan with non stick cooking spray. In a medium saucepan over low heat, melt the butter and marshmallows, stirring frequently. When the marshmallows are melted, stir in the vanilla and cereal. Turn off the heat, but leave the pan on the stove to keep warm. Drop in the food coloring until the desired color is reached. Using buttered fingers, press the cereal into the mini muffin pan. When the pan is full pop the bites out onto a silicone mat or parchment paper lined sheet pan. Repeat until all the monster bites are formed. 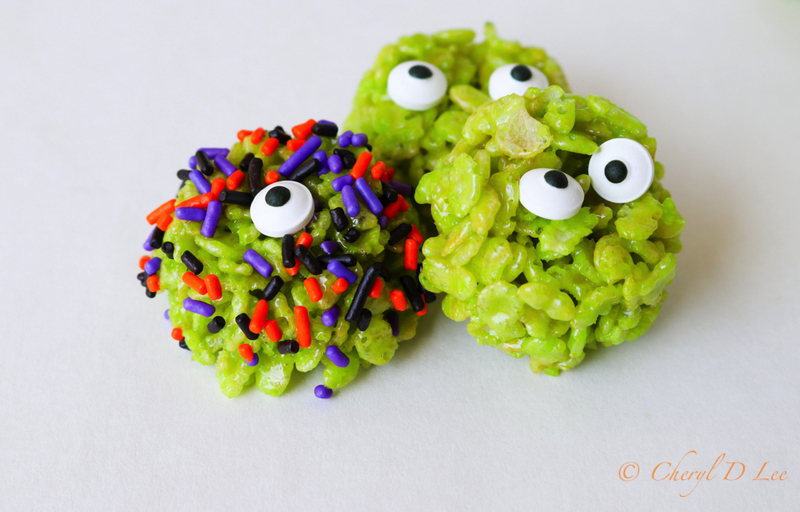 Decorate the monster bites with the candy eyeballs and sprinkles as desired. 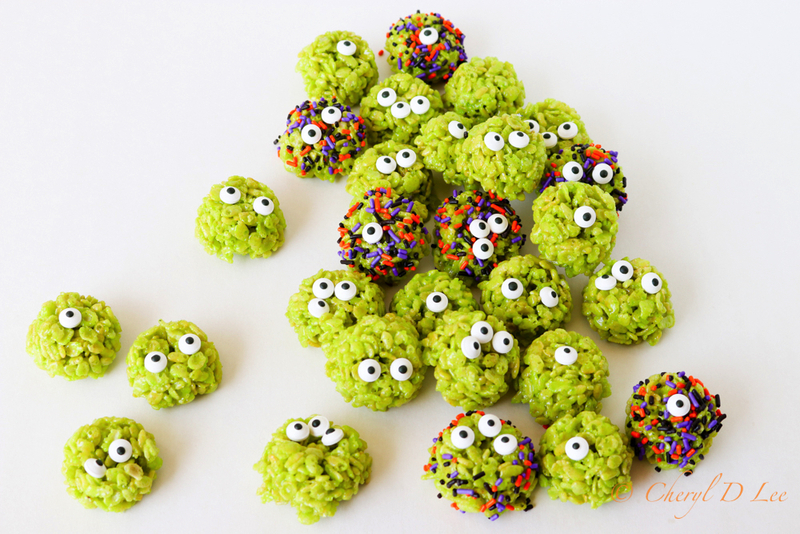 Candy eyeballs and Halloween sprinkles can be found at grocery stores, specialty stores and Amazon.com.